This is for all the Baby Boomers who have had the good fortune of seeing their parents grow old together, but are now starting to lose them. It is not only very difficult for the surviving parent, but also for their sons and/or daughters to witness one, missing the other. 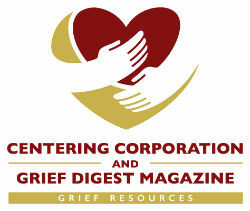 I feel grief is one of society’s most commonly misunderstood and profoundly difficult experiences that those who’ve never had the misfortune of being held in its grasp, believe can be resolved by closure. When in reality there is no such thing, just a slow measure of acceptance. As Garth Brooks said, “You aren’t wealthy until you have something money can’t buy." My parents did and had this sign proudly displayed in their home. The following parable was written, because two people fell in love. I pray its message of hope not only provides you and yours with some small measure of solace, but that its promise nourishes your soul. I never really said goodbye that’s because I did not die. I live in the children we raised, believe in this. They are experienced, honest and smart. And the only one’s with your best interest at heart. I know it’s been hard without me here, keep them close. And I’ll always be near. As they promised to look out for you, I do too. Where I made a vow; I won’t ever regret. I will always love you; never forget!